Tiger Woods is returning to competition at his holiday tournament in the Bahamas the week after Thanksgiving. Woods has not played since he withdrew from the Dubai Desert Classic on Feb. 3 with back spams. Two months later, he had his fourth back surgery in just over two years. Woods will be part of the 18-man field at the Hero World Challenge, which starts Nov. 30 at Albany Golf Club. Woods is eligible as the tournament host. 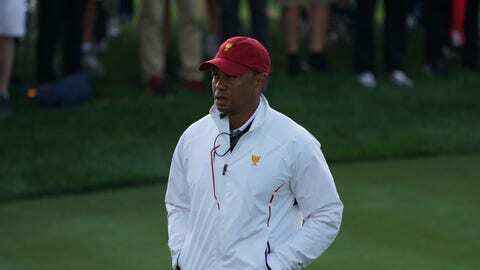 A year ago, Woods returned at this tournament after 15 months recovering from two back surgeries. He made 24 birdies, but finished 15th out of 18 players.